Super Durable - Affordable Price. 0.85" tubing diameter with a 0.07" wall thickness. Available in 24", 30" or 36" diameter packs of 12. Each pack includes 2 hoops in each of our 6 Spectrum™ colors. Our better quality hoops feature a 0.85" tubing diameter with a 0.07" wall thickness for super durability at an affordable price. Spectrum™ super hoops are available in 24", 30" or 36" diameter packs of 12. 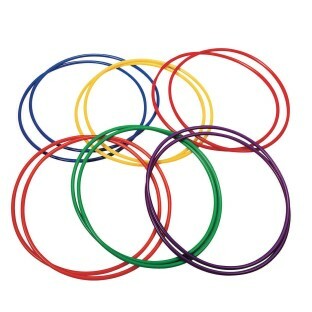 Each pack includes 2 hoops in each of our 6 Spectrum™ colors: Red, Yellow, Blue, Green, Orange and Purple. Durable well worth the money! 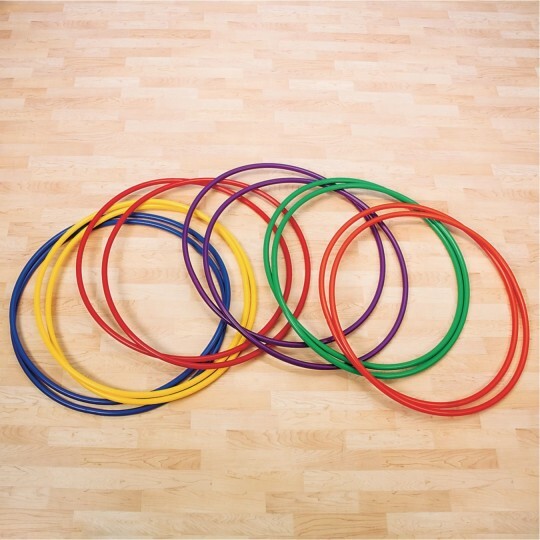 We use these of course for hula hooping. I also use these for a tag game called Pony Tag. Bandit taggers tag with pool noodle sections. 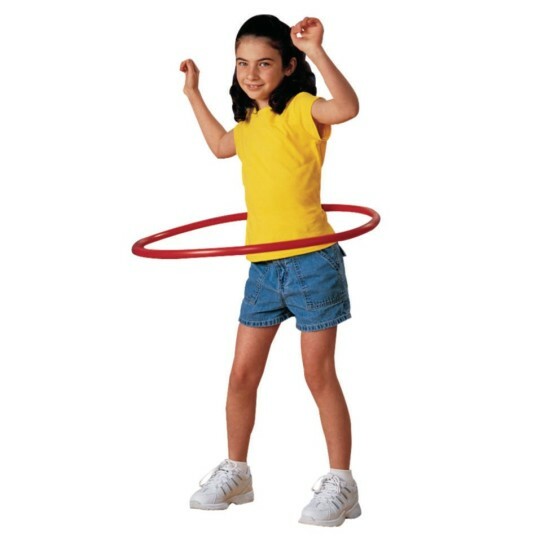 Cowboys/Cowgirls must rescue the tagged by placing a hula hoop over their head and let it drop to the ground. Works well in PE class. Kids use during PE class once a week. We even had a hula hoop contest with them. So far they have been holding up great! I use these for many different activities fitness games and stations.